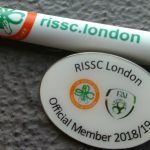 Stephen Kenny visit to RISSC London a big success. 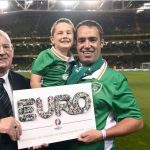 Irish Post Article 15th August ’18 – 10 Minutes with Patrick Redmond. Published in The Irish Post August 2018. 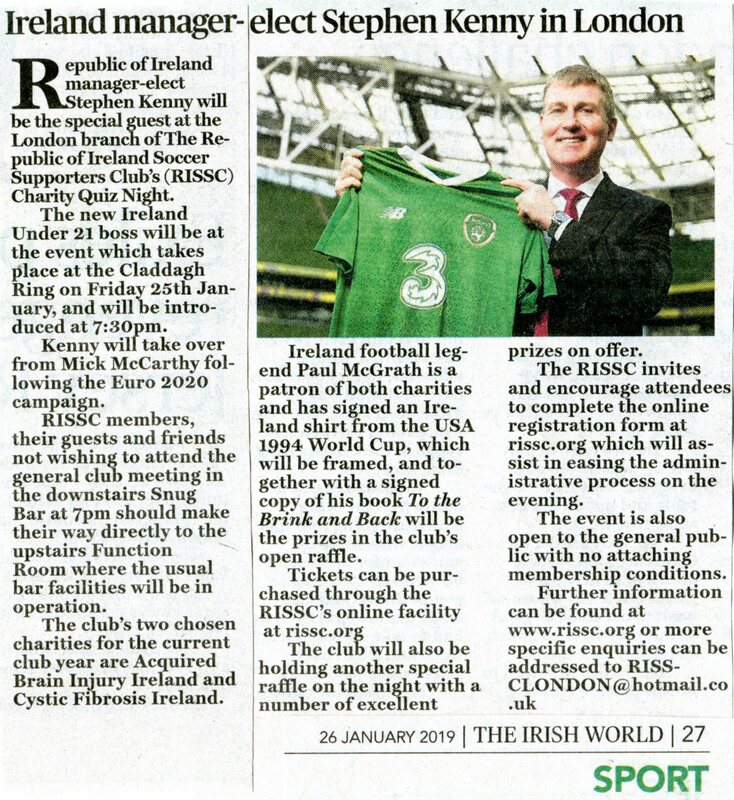 The London branch of the Republic of Ireland Soccer Supporters Club (RISSC) will be fund raising for MS Ireland at its Quiz Night on Friday 26th January at the Clayton Crown Hotel in Cricklewood. 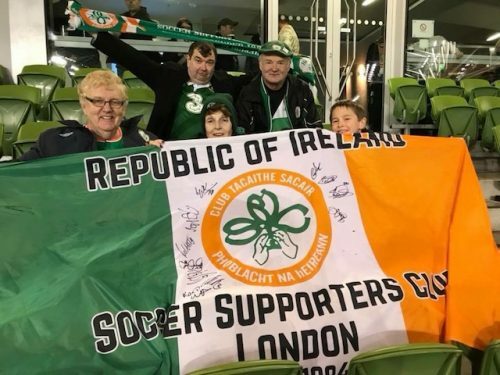 It’s a cause very close to the supporters club’s heart, as one of its long serving members, Carmel Mackey, has lived with multiple sclerosis for over 30 years. 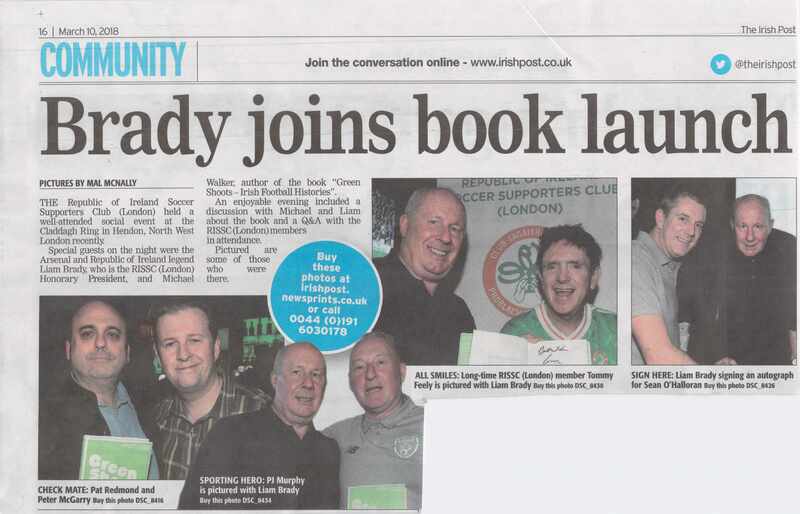 But that hasn’t stopped her following the team and she still travels to home and away matches to cheers the lads on. 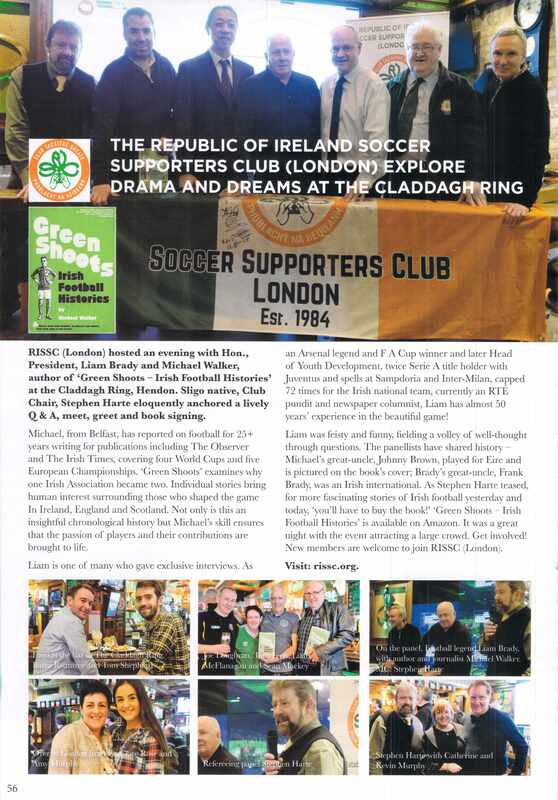 So much so, that Carmel’s commitment to the green jersey featured in the official match day programme for the Republic of Ireland’s World Cup qualifier with Moldova at the Aviva Stadium last year, as part of an on-going feature acknowledging the team’s most dedicated supporters. Carmel definitely qualifies. She said in the article: “I’ve gone to games when I could walk, I’ve gone [to games] on two sticks and now I go in a wheelchair. I’ve had some great times and I’m relaxed and easy going anyway. 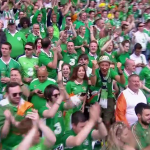 I have fun and I enjoy the football. 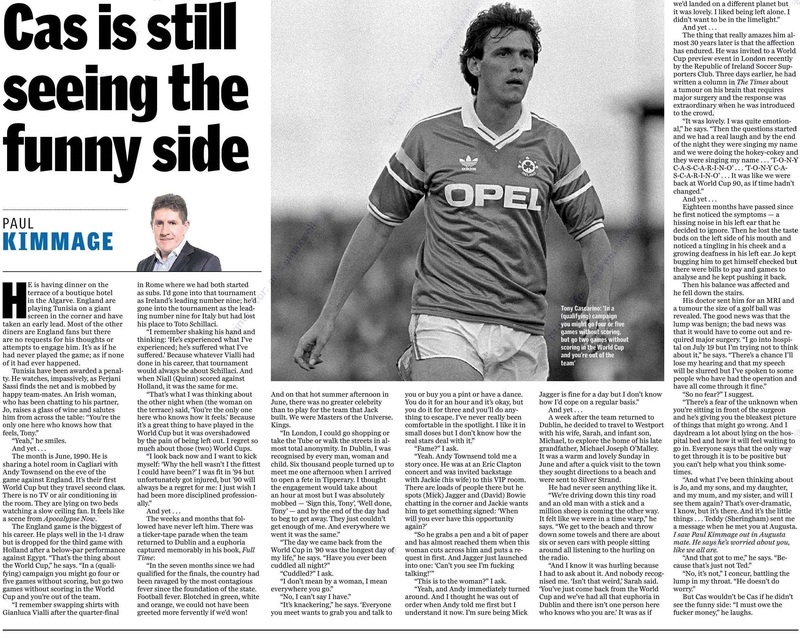 “My attitude was, ‘well I don’t have a tumour, nobody died. And please God I would live long enough that I would survive’. I just accepted it and I was fortune enough I guess. 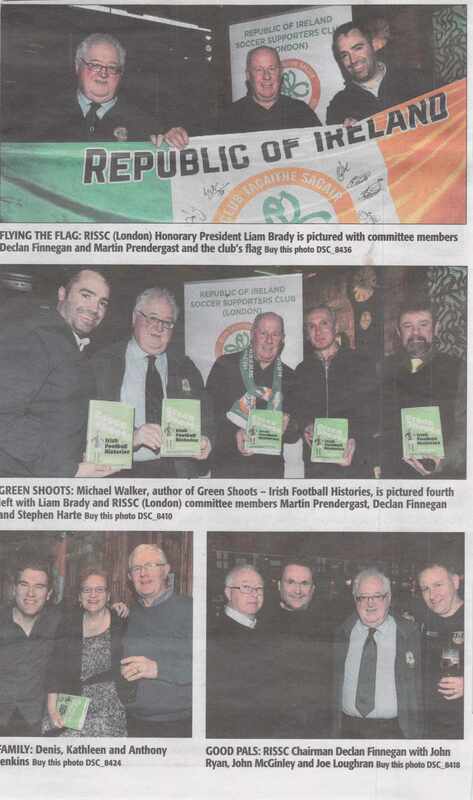 From a GAA background in Tyrone, it was Carmel’s husband Sean who first got her into football and the supporters club, when he took her to a RISSC meeting. 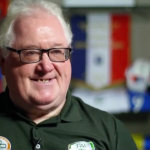 Sean, who has roots in Limerick, has been involved with the supporters club since its formation in 1984. It currently has approximately 600 members. 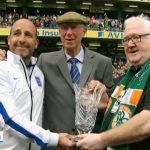 The RISSC supports various charities as well as St Kevin’s Boys football club in Dublin, as an important part of its ‘contribution towards football in Ireland’ says Sean. 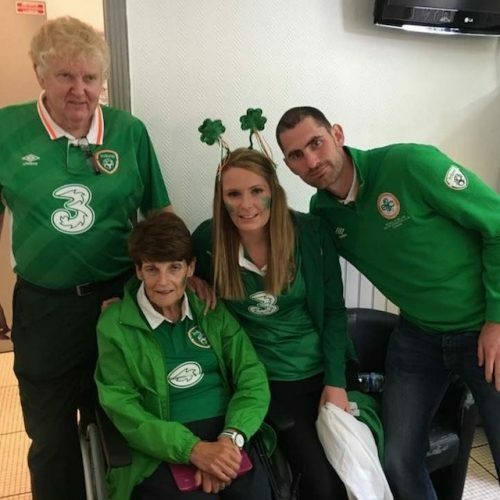 To complete the family’s involvement with the RISSC, Sean and Carmel’s daughter Roisin Kennedy (nee Mackey) is the club’s kit officer. There will also be a raffle on the night, which gets underway at 7:30pm, with a signed Ireland shirt, a signed James McClean photo and a special VIP package (including flights, hotel and match tickets) amongst the prizes. 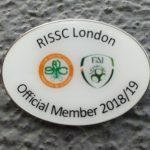 To find out more about the RISSC or to purchase raffle tickets online visit www.rissc.org Online ticket sales end at midnight on Wednesday 24th January.